Water removal from your home or business is not just about getting the water out of the carpet. When a flood occurs in a home the water saturates all the soft materials it comes in contact with. Carpets, walls, furniture all soak up the moisture like a sponge. Even after it is removed and dried out problems can still arise, especially if it's not done correctly in the first place. Mold, mildew, and bacteria can take hold if the area was not properly treated in the first place. When it comes to water removal in Tampa FL use a professional service. Don't just wait for it to dry out and hope for the best. A professional water removal service will check to see if their is invisible damage in the walls and other areas of the home. They will inspect adjacent areas for moisture to ensure all of it is removed. 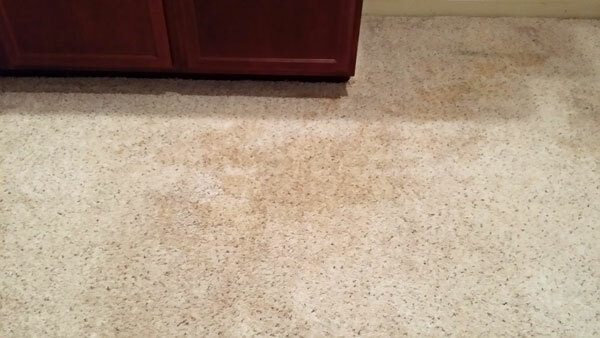 These pictures where taken after a water removal service extracted the water in a home and then left. They didn't properly finish the drying process and water wicked up from the wet pad underneath. The brown blotchy spots are from water that was left untreated and allowed to dry on its own. 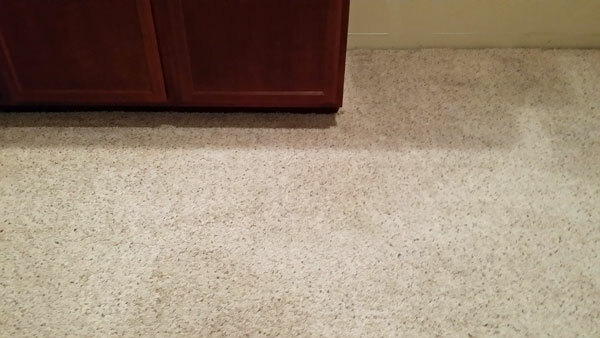 We treated it properly and removed the remaining water stains with a proper water removal service. Even though these types of jobs seem straight forward proper training is necessary to ensure they are completed properly and safely.